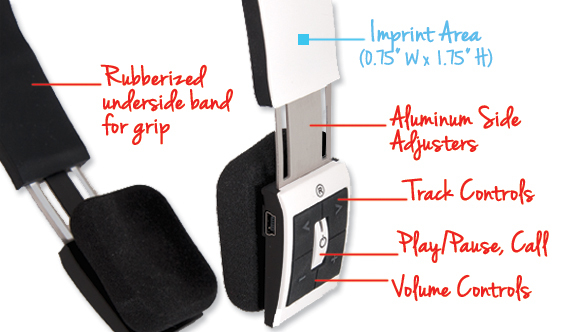 Bluetooth® Sportsband Headset: Supersonic Sound! Of the many technology accessories to be launched in the ad-specialty industry this year, the CU8226 Bluetooth® Stereo Headset is a true head-turner! 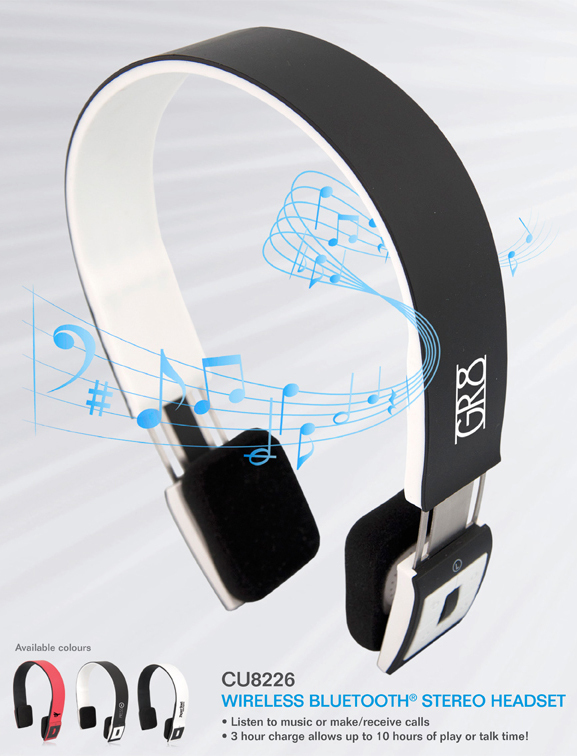 With its sleek design, rich sound experience, and competitive pricing, this contemporary headset is value-laden. So what are you waiting for? Bid adieu to those pesky wires and continue reading for specific product features and information. With a decidedly retro appeal, the CU8226 headset takes its cue from an old-school style of headphones made popular in the 80’s. The sports-band wraps around your head and feature on-ear speakers that lend a lightweight and comfortable design for all-day listening. Despite this retro homage, its high-tech features and terrific sound quality could not be more current. Due to the pervasive use of smartphones and other mobile accessories, this product can be used for a large variety of audiences and applications. Suggested audiences include sports/fitness enthusiasts, teams/leagues/gyms, college/university bookstores, gamers, technology buffs, and so much more! How will you use them? We’d love to hear your creative case studies! Please contact your Account Manager or Sales Representative to learn more about this product and other similar technology accessories! This entry was posted in New Product Announcement, Technology and tagged Accessories, Bluetooth, Computer Accessory, CU8226, fitness accessory, gaming accessory, headphones, Mobile Accessories, Promotional Products, sports accessory, sportsband, Technology Accessories, Wiresless Bluetooth Stereo Headset by Debco. Bookmark the permalink.